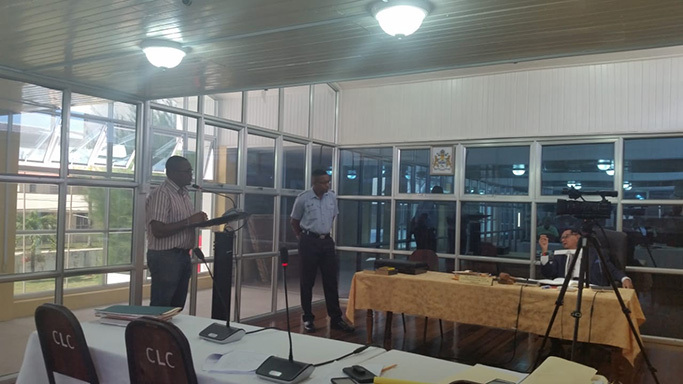 City Engineer Colvern Venture (left) testifies before the Commission of Inquiry into the operations of the City administration. Chief Engineer, Colvern Venture, on Friday maintained that rehabilitation work had been done at the City Constabulary Training School to the tune of $47 million, though he admitted that the space remains uninhabitable. 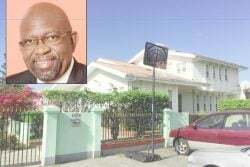 “Work was done at the complex last year,” Venture said in response to questions from Sherwin Benjamin, legal assistant to the Commission of Inquiry (CoI) into the operations of the City administration. The engineer, however, stopped short of declaring that his department was satisfied with the work, even as he claimed to have visited the complex. “I’m aware of what’s happening there sir,” Venture noted. Based on submissions made to the CoI by PPP/C Councillor Bishram Kuppen, Benjamin claimed that $47 million had been spent by council on repair works at the school, which continues to be in a state of disrepair with rotten, waterlogged, moss-covered floors and termite-infested rooms. Stabroek News has, however, only been able to verify an expenditure of $19,973,000. Works on the school were not budgeted for in 2017 but the Auditor General’s report for that year stated that City Hall had in January 2017 been granted $200 million by the Ministry of Communities for the execution of several projects, including the rehabilitation of the Kitty Market, the Constabulary Training School, the City Engineer’s Building, the Constabulary Headquarters Building and the Albouystown Clinic. The report notes that following the expenditure of the full sum, City Hall did not produce evidence to account for amounts totaling $70.489 million, including $19,973,000 allegedly spent on the rehabilitation of the Constabulary Training School. Chairman of the CoI, retired Justice Cecil Kennard, along with Benjamin, had visited the school on Thursday in order to ascertain the conditions under which historical records of the council were kept. During the visit, they found decades of records being stored in a space ill-suited for their preservation. Several of the bound records were infested with “wood ants”, while handwritten records were faded and crumbling in the humidity. Venture maintained that the quality of work produced by his staff depends on the finances they are provided with. “My department depends on a Finance Department. We requisition but the Finance Department makes purchases and payments,” he stressed, even as Benjamin declared that a bad workman blames his tools. Over a period of three hours, Venture was relentlessly questioned by Benjamin, who at one point sought permission to treat the council officer as a hostile witness. His request was denied but he continued to interrogate in an attempt to have Venture declare that his work and that of his staff was less than professional. A major area of contention related to the plans submitted by businessman Terrence Campbell. Campbell had told the CoI that over the last four years, he has made four applications to the City Engineer’s Department on behalf of himself, CAMEX Limited and Camex Restaurants, which includes the Church’s franchise.The first of these applications was made on January 2, 2014 and the most recent in August, 2017 but despite the intervention of former Deputy Mayor Lionel Jaikaran, the Georgetown Chamber of Commerce and Industry (GCCI) and several other members of the business community, none of these applications have been approved. 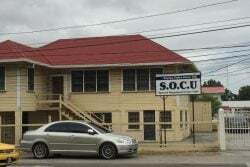 The January 2, 2014 application, plan number 161 of 2014, indicated Campbell’s intention to build in South Ruimveldt, while the July 27, 2015 application related to an extension to the current building located at Camp Street. In 2016, another plan was submitted for works on a residential property in Lamaha Gardens and a request made for permission to operate out of an existing building on Croal Street, Stabroek, all of which received no response.Venture noted that the 2014 application had been sent to the Central Housing and Planning Authority (CH&PA) on November 11, 2014 and has not been returned to his department since. According to the City Engineer, building regulations require that any new development outside of the sewerage area, especially those related to commercial activity on previously residential land, warranted a reference to CH&PA for land use clearance. “If there is no evidence of change of use from residential to commercial it warrants such a referral,” he explained. Venture further noted that the application to operate out of the building where SINO fast food previously operated was delayed by the Guyana Water Incorporated (GWI), which required that the applicant settle outstanding bills. He explained that the plan first submitted on June 29, 2015 has been with GWI since February 12, 2016, a fact of which Campbell was made aware. The plan was finally returned from GWI on September 27, 2017, by which time Campbell had indicated that he would not proceed with the plan. Campbell had lamented to the CoI that he never sold a piece of chicken from the Croal Street building, yet lost $30 million. According to Campbell, after the visit, he submitted an application on September 15, 2016, which is still to be approved. Submissions on the same property to other entities have, however, been approved. The CH&PA approved his application in January, 2017 and GWI granted their approval in July, 2017, he claimed. Meanwhile, Venture maintained that the application to build an extension to CAMEX’s Camp Street Headquarters had been approved, though he could not say when.